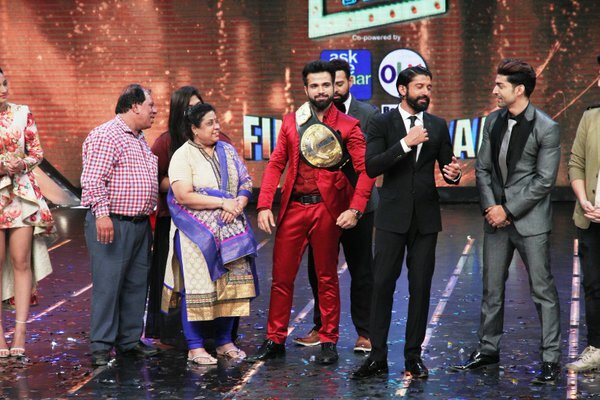 ICDT Winner: Rithvik Dhanjani has been awarded the title of ‘I Can Do That’ winner. The reality shows which is being telecasted on Zee TV. Hosted by Farhan Akhtar, the show has come to wonderful ending with the two much expected beautiful guests, namely Ranbir Kapoor and Deepika Padukone; who were present for the promotion of their upcoming movie ‘Tamasha’. ICDT Finale starts with the efforts of Bharti and Shibani to impress Farhan Akhtar by showing their skills. And that part of the finale episode was really hilarious and appreciatable. Gauahar Khan performed Chinese Martial acts on the stage which totally left the audience spelled by her acting. The performance of Gurmeet Choudhary and Madhurima Tuli was also spectacular. The ICDT finale episode was also totally directed in a beautiful way. Rithvik Dhanjani won the title of the show along with many amid controversies. Although fans of Gauahar, Gurmeet and Madhurima also accepts the fact that his performance really deserved the title of I Can Do That finale winner candidates’. Gauhar Khan who is a Mumbai-based film actress and has been featured in many Bollywood movies has the largest fan following for this time. She has been also known for her performance in Bigg Boss. Rithvik Dhanjani of Nach Baliye 6 and Television Series ‘Pavitra Rishta’ got a tremendous lovely response from his fans during the last phase of the episode which converts as the winner title of I Can Do That Series. ICDT was one of the short span reality TV Show ever telecasted on Indian television with just a span of 1 month and 5 days.